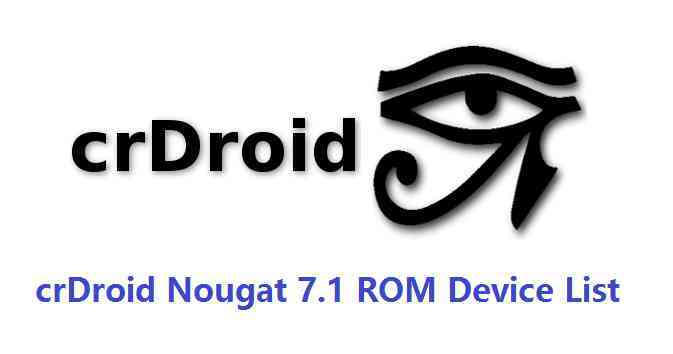 Here comes a big collection of crDroid Nougat 7.1 ROMs available for various devices, just like the Lineage OS 14.1 Nougat ROMs list, RR (Resurrection Remix) Nougat ROMs list, AICP 12.1 Nougat ROMs list Official CM14.1 and unofficial CM14.1 ROMs list. I really don’t know what does the cr means in crDroid name but what I know is it’s a beautiful Android based custom ROM which is always built on top of CyanogenMod sources or eventually Lineage sources as you all know that CyanogenMod will continue as Lineage OS. crDroid ROMs maintain a flat versioning with respect to Android. Meaning, unlike CyanogenMod 14.1 which is based on Android 7.1, crDroid 7.1 is the version for Android 7.1 ROM. Hopefully it’s not confusing like the AICP ROM versioning. This is important because you must know which Android version of crDroid ROM you are downloading for your phone, isn’t it !! As always the crDroid Nougat ROM does not come with pre-installed GApps (Google Applications) because of Copyright issues, so, you need an extra Nougat GApps Download. Also, crDroid Nougat does not come with built-in supersu or su binary for ROOT, hence you need and supersu ROOT binary to be flashed after the crDroid Android Nougat 7.1 ROM flashing.